So, I've gone and done it, committed the quintessential gun guy faux pas. I have committed the ultimate sin of daring to question the universal brilliance of John Browning's most perfect creation (of which there are many, that's a whole post or podcast episode in and of itself.) But seriously, as thoroughly modern and revolutionary as it was how relevant could a century old gun design be? It shouldn't be....but for some reason people keep claiming it is. The grip angle, while seaming an unremarkable afterthought, is hailed as perfection. Comfortable, quick and natural to point and aim, and placing all of the relevant controls right at the fingertips of the bearer, the grip of a 1911 is constantly praised. Not as rakish as a Luger, perhaps less upright than other designs, it doesn't seam anything particularly special...yet the faithful insist it is. Beyond simply the grip angle, they claim that the design of the 1911 is so inherently ergonomic as to make it's operation dramatically easier for even new shooters. With the sole exception of perhaps those of us with stumpier digits than most (myself included) having to reach for the magazine release or the slide release, everything does seam to be right where it's supposed to be. And let's not forget the satisfyingly positive manual safety that drops under the thumb without any additional effort. The operation of the gun is also a commonly complimented aspect of the gun. The grip safety falls nicely in the palm where a good, solid grip will easily disengage it. If the grip safety is not depressed, no amount of beating on the hammer will cause it to fall. As already mentioned, the manual safety would be bothersome to operate if not so perfectly located as to fall under the thumb. A well practiced draw stroke will naturally disengage it, and leave little wonder if it is out of place because of how positive it is. "Cocked and Locked", or Condition 1 by another term, is a mode of carry practically made famous only by this gun design. With a round in the chamber, hammer drawn to the firing position, and the manual safety engaged, the gun is perfectly safe to carry and quick to place into action. And the trigger. Angels sing hymns about the crisp, clean, single action trigger found on well built 1911's. 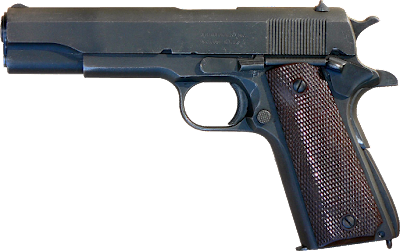 With an absolute minimum amount of creep, little to no over travel, and the proverbial "glass rod breaking" release of the trigger, a 1911 spoils the shooter for life. Ham-fisted trigger work is flattered, and truly expert handgunners made to look like Jerry Miculek disciples. I would contend that perhaps more people were brought to the dark side of 1911 ownership by that damned trigger than any other feature. 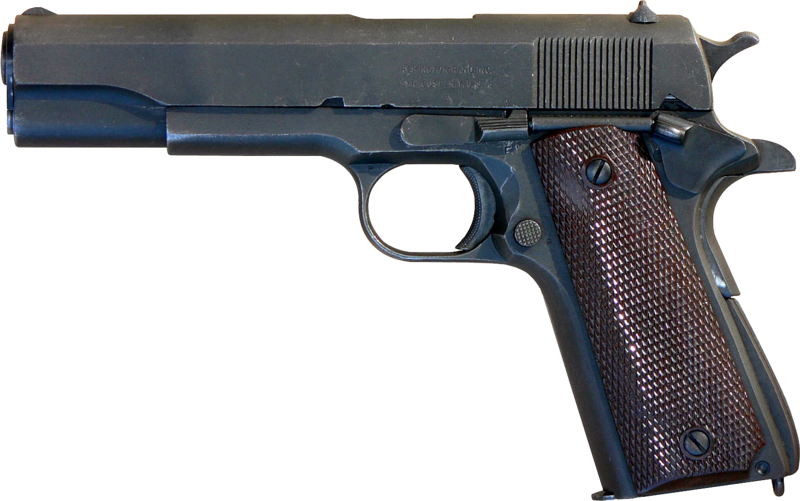 So, if I've spent most of an article extolling the virtues of a 1911, why do I hate it? Because....it ruined me. Every gun I have picked up since is judged against it. I find myself overly critical of ergonomics and trigger feel. I completely dismiss the aging design's reluctance to digest hollow points, or limited capacity, or weight, or size. My 1911 was the first handgun, the first firearm, I purchased for myself and I have been ruined by it. I love it, but it has ruined me.